We specialize in buying Fallbrook estates. 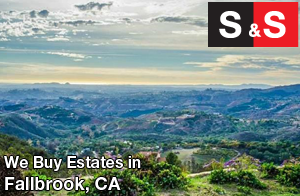 Contact Matt today at 760-533-0090 for a free review of your Fallbrook estate. We pay more money because we make more money. We've got the big trucks ready to go and the muscle to handle any job. 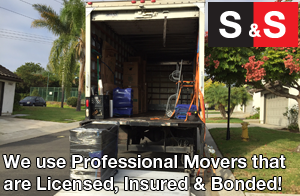 We use professional movers that are licensed, insured, bonded and extra careful while inside your home. We are equipped to handle an entire estate buyout or a partial estate buyout. We buy Fallbrook estates, storage units, collections, Fallbrook hoarder houses and more. As part of our service we can remove (cleanout) all items leaving you with the peace of mind of an empty house. 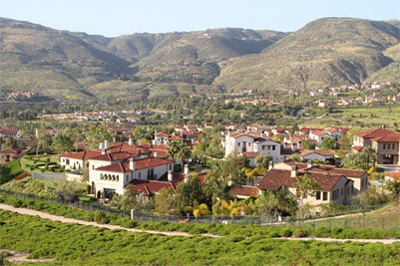 We also have other options to liquidate your Fallbrook estate like hosting an Online Fallbrook Estate Sale if you feel a buyout is not ideal for your situation. Contact Matt today at 760-533-0090 for a free review of your Fallbrook estate. Interested in buying estate treasures? We host San Diego Estate Sales Online all year round.